When you slip on a cracked floor at your own home, there is generally no one to blame other than yourself for not taking care of the defective condition. The same cannot be said when you are on another’s property. A lawsuit was recently filed in Pinellas County Civil Court against AirBNB, according to SaintPetersBlog, when a man slipped on a bathroom rug that lacked a non-slip backing. His claim is that AirBNB should have ascertained that the property was safe prior to allowing it to be posted on their home-sharing website. If this suit succeeds, it could change the course of personal injury cases that occur when a home is rented via one of the many vacation rental websites. 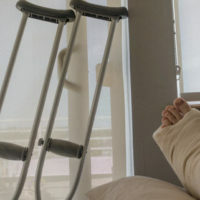 If you are injured at someone’s home while visiting, chances are their homeowner’s insurance policy will cover damages. In fact, AirBNB requires that any claims be submitted to the homeowner’s insurance first. However, many homeowner policies do not cover injuries that occur at a property that is being rented out for additional income. The National Law Review recently posted an article from a Los Angeles attorney who shared his concerns about how difficult it is to receive compensation for injuries that happen during an AirBNB stay. Where a hotel is liable if you fall on their property, who is responsible for an injury at a home-share becomes murkier. Is AirBNB, or a similar home-sharing site, responsible as the man in Pinellas County suggests? Or it is the homeowner? What if the out-of-towner’s host is actually a renter themselves and another individual owns the property? If you have been injured while vacationing at someone’s home, it is crucial to involve a lawyer as soon as possible. As the NY Times mentioned in their article, A Liability Risk For AirBNB Hosts, each insurance company has different policy provisions. Having an experienced lawyer who can present the facts to the insurance company will help any injured party receive the compensation they deserve. Call the West Palm Beach attorneys of the Celeste Law Firm today at 561-478-2447 for a consultation on your case.